Have you ever had a locally raised farm-fresh egg? The shell is much stronger, the flavor fullers, and the colors so much more vibrant. 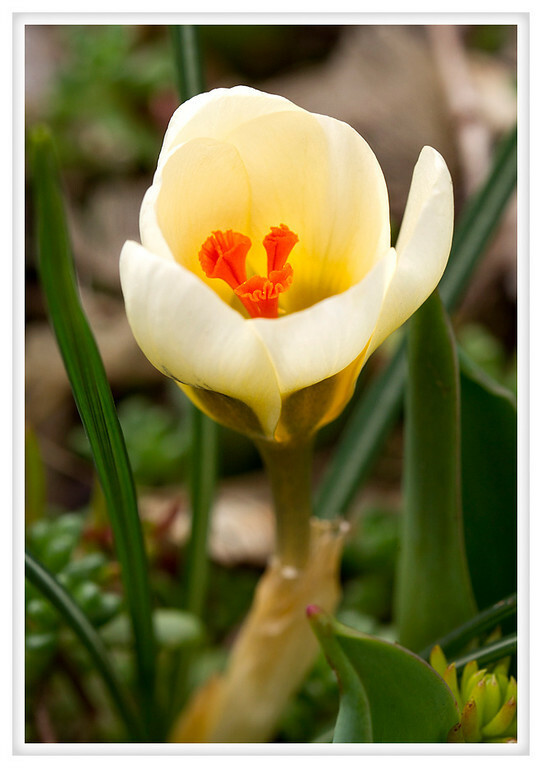 Those yolks are almost orange and this crocus has colors like one of those eggs.